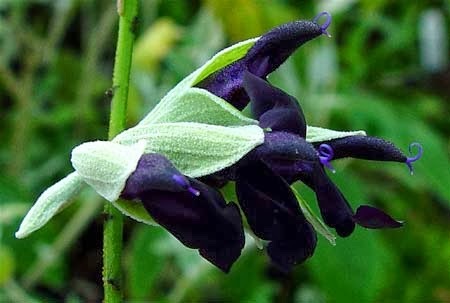 Salvia discolor is a rarely seen, but absolutely gorgeous tender perennial. Native to a very localized area in Peru, it is sought after addition for many garden styles, but is a particular favourite for the English cottage garden. Flowering over late summer to autumn, it does particularly well in warmer, Mediterranean climates. Its typical, straggly habit is down to this particular species of Salvia being scandent. This means that it can climb without the use of tendrils, instead it supports itself with the 'reaching' white stems that grow from its base. The selling point of the plant are its stunning flowers. So dark is the blue pigment within its petals that to the naked eye they look almost black. This is further enhanced by the silvery-green calyx from which they emerge. In order to try and mimic the conditions of its native environment you will need to provide a moist but well-drained soil. 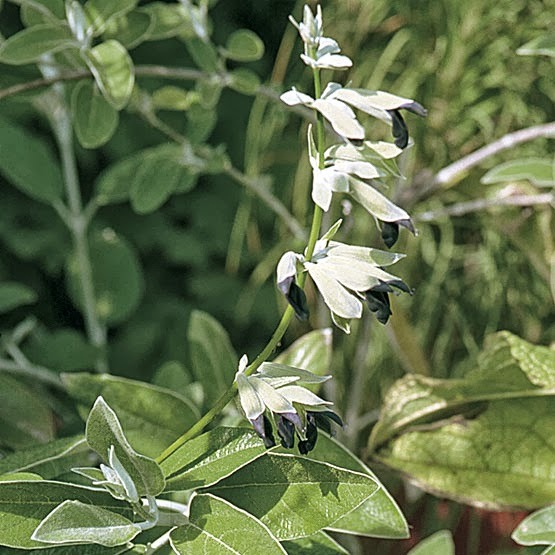 It is happy in both full sun and partial shade, and once established Salvia discolor can be quite resilient to drought, but not for too long! Keep it an open and well ventilated position as it can be susceptible to a variety of fungal infections such as powdery mildew, rust, stem rot, and fungal leaf spots.